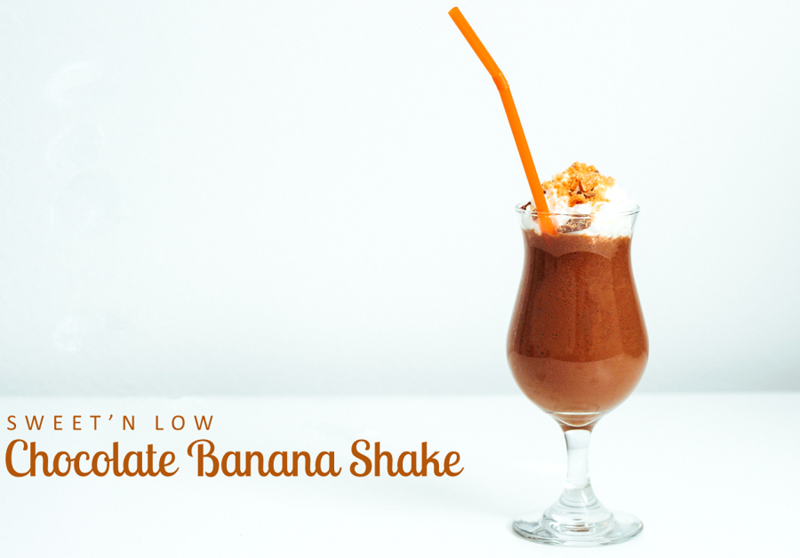 This week I made a delicious Sweet'N Low Chocolate Banana Shake as part of a sponsored post for Socialstars #SweetNLowStars. 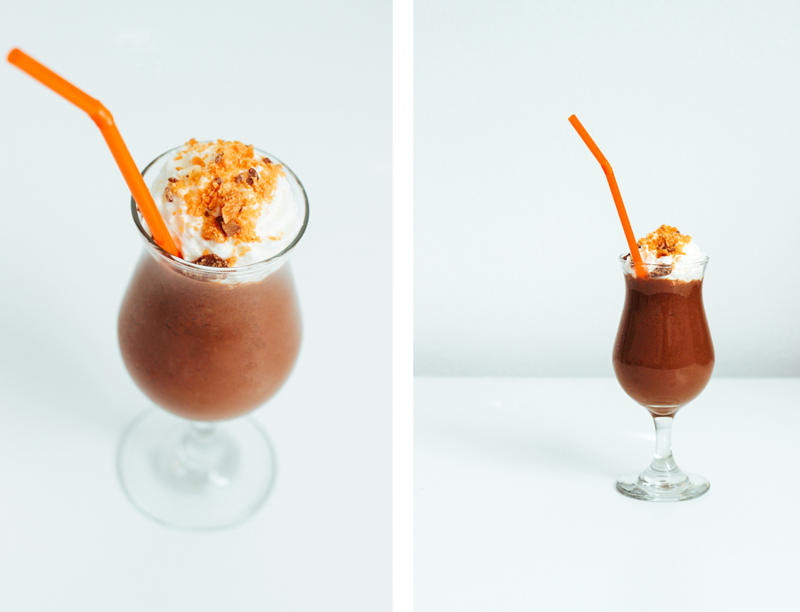 Since Halloween is just around the corner I thought I would make a delicious guilt-free chocolate banana shake for this months drink recipe. During this time of year, my cravings for chocolate increase exponentially. 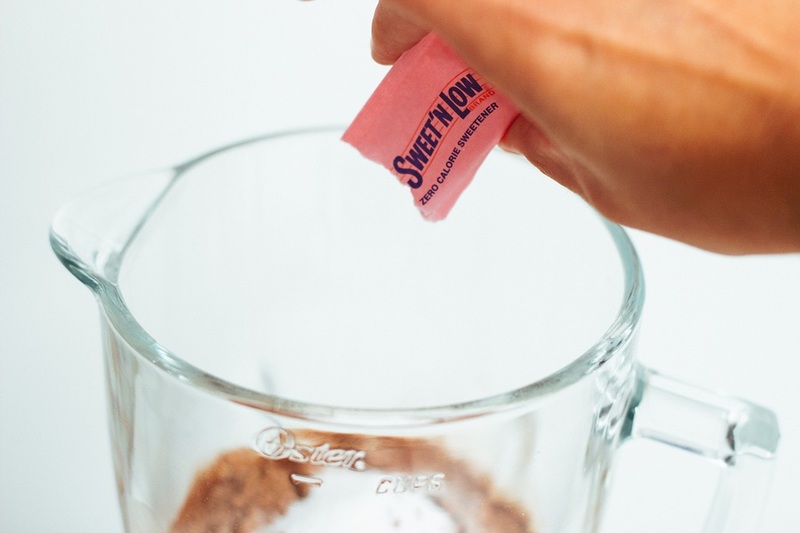 Using cocoa powder and Sweet'N Low zero calorie sweetener is a healthier option than adding a sugar dense chocolate syrup to a homemade shake. Hope you enjoy this tasty treat. Crowdtap is currently hosting a contest to create your own guilt free drinks! The grand prize is an amazing cocktail kit. 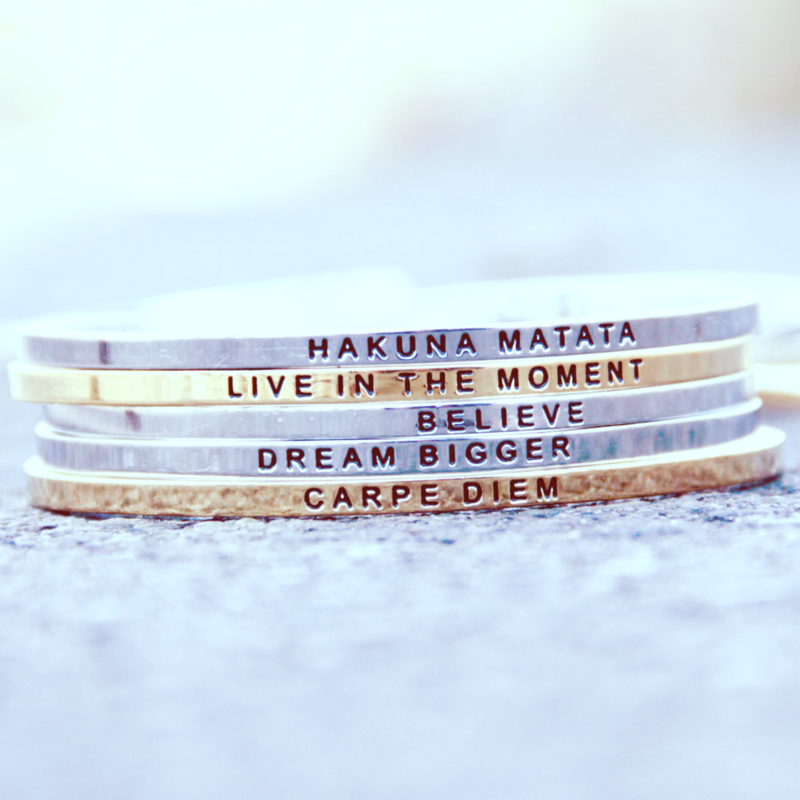 You can read more details and enter the contest here! Slice a medium size banana and put it in the freezer until frozen (times vary depending on your freezer). 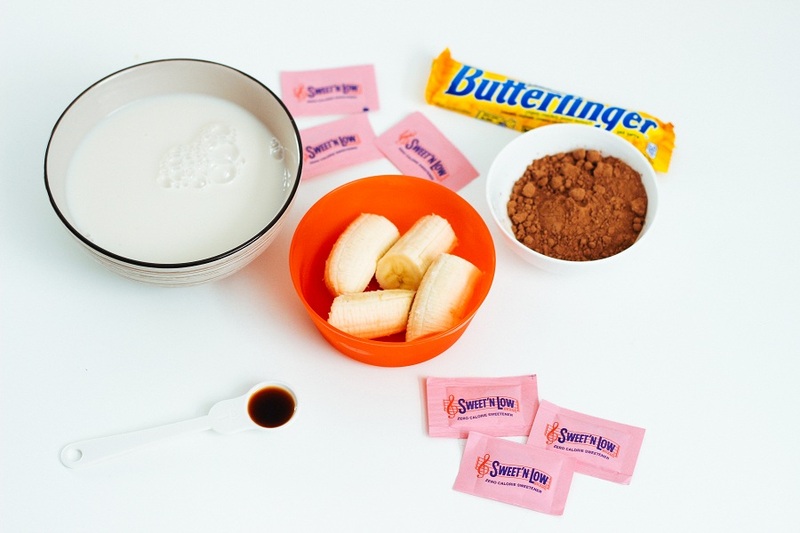 Over a small bowl, crush your candy bar into tiny pieces for garnishing your shake. 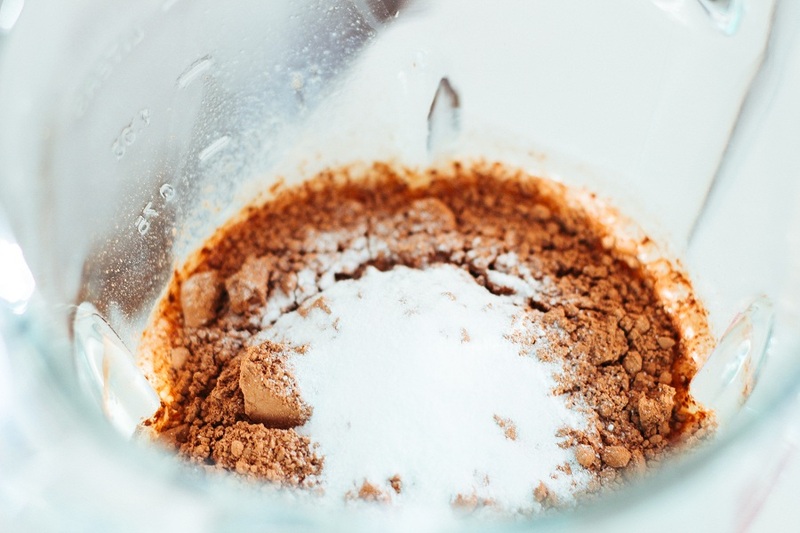 In a blender, take all ingredients and blend until liquefied. 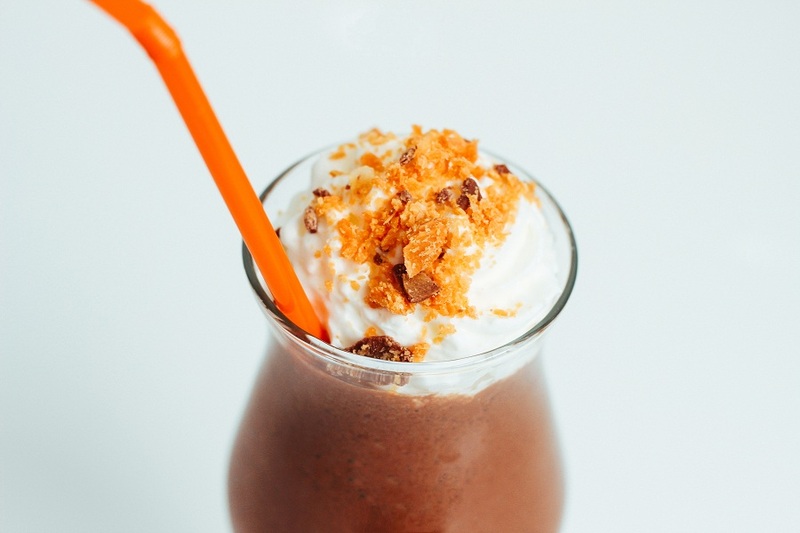 Pour into 2 sixteen ounce glasses, garnish with your favorite whipped cream, crushed Butterfinger, and enjoy! This looks so yummy and easy to do at home! Thanks for sharing this Lou!!! That's new got to try it!